This is to bring to your notice that I was holding a SBI Credit Card for 4-5 years now and there was not any problem in particular till 9-December-2012. On 9-december-2012 around 6 pm in the evening, I saw some fraudulent online transactions on my sbi credit card and as SMS alerts were activated on mobile, I immediately informed the credit card Company and the card was blocked immediately. Customer care staff told me that I should fill a dispute form and send the same dispute form via email which I did on 10-dec-2012 and the email is attached with this complaint. After that I contacted the customer care of SBI cards and nodal officer of the SBI card many times via phone and email and never got any response from them. Customer care have always told me that a ticket has been generated and someone will contact me soon and issue will be resolved and they have been always very arrogant. Till 13-March-2013, as a good citizen I contacted the customer care and nodal Officer Divya Dhody 7 times via email and several times via phone. On 13-March-2013 to my surprise , I get an email from Divya Dhody that I should submit the dispute form for the unauthorized transactions and shocked to see that they have not even started processing my case even after 3 months from first time I contacted them and submitted the dispute form next day itself that is on 10-dec-12 and hence I replied this to the nodal officer again as well. On 30-april-2013 , that means after nearly 4 months and 20 days, I got a reply from a different Nodal officer called Amit Kalra that they are not able to credit for the above-mentioned transaction, since the time frame within which the action can be initiated on a transaction is within 60 days of the transaction, whereas the above-mentioned transaction has crossed more than 60 days and I immediately called them and replied them via email that I informed customer care staff within 15 minutes when the transactions took and sent this dispute form to the nodal officer the very next day so it is the company who is at fault who didn’t take any actions even though the consumer has informed and submitted all the documents. After that I followed up many times via phone as well as sent them emails on 24-june-13,14-aug-13,17-aug-13,22-aug-13 and then I was tired of contacting them and as I told them explicitly in the month of February itself that I am not using their card and will not pay any amount which I have not spent myself as this is an online fraud and responsibility of this lies with the credit card company if the card holder informs the bank within 5 working days and I informed within 15 minutes. But The company itself took months to reply me back which shows the ill-intension of the company to loot their customers like this. Hence in all from Dec-2012 , I contacted them various times through phone and I have all the recordings of the phone as well and contacted them 10-15 times via email. I want the online fraud which was done on 9-dec-2012 on my card to be removed from my outstanding dues which the company is adding in the bills they are sending every month alongwith the interests which they have charged till date on the same and send me a letter that I have no outstanding amount. Apart from that , I would like to make sure that my personal and my company’s credit rating was not hurt because of this if in case this has been done because of this by various Credit companies like CIBIL which ideally they should not until unless the truth prevails. They should investigate the matter in great details and should do background verification. But if in case , any damage which has been done to my credit rating should be reverted back asap. Apart from that , I should be compensated for the loss of time and mental instability this has caused me due to spending time with the customer care, nodal officers of this company and then later on filing police complaints and then now submitting this to the consumer court and any further time which will go into this as this has costed a lot in terms of money as I would have utilized the time which went into this into something productive and would have helped earning wealth for myself. What can the Complainant Do now ? 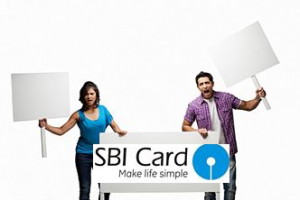 This entry was posted on Thursday, March 13th, 2014 at 11:32 am	and is filed under SBI Card. I demand to know how they allow transactions without CVV/card?? All SBI team is doing nothing but just sitting on these cases. I do faced same issue with SBI. On my card there are 3 fraud transaction happend. SBI told me that I am liable to pay those amount because these transaction happend securely. I felt SBI never care of their customers. They dont know how to resolve these kind of issue. I dont know why they are running banks. Amount of transaction happend is Rs.72,000/-. Luckly I got Rs.40,000 back because merchant declined the payment. I hold for 5 months, waited for 5 months thought SBI will give me some solution. But they charge me around Rs. 46,000 (Rs 30,000 plus taxes and charges). I will never work with SBI. I am advising all my friends do not work with SBI. Is there any way to ligal action on this bank? This exactly the same case that has happend to me as well. I have raised the fraudelent request in November 2013 and now i have again contacted them about the update on the request they have send me a mail that its more than 70 days your dispute have been closed. I have warned will not pay any amount from now onwards but they are still the same.